Long Lasting, External Analgesic, Local Anesthetic For temporary relief of muscle aches, back pain, arthritis, joint pain. C3 500 is a great daily use product to help acheive overall health and wellness. Each bottle contains 500mg of Complete Choice CBD blended with hemp seed and MCT oil. 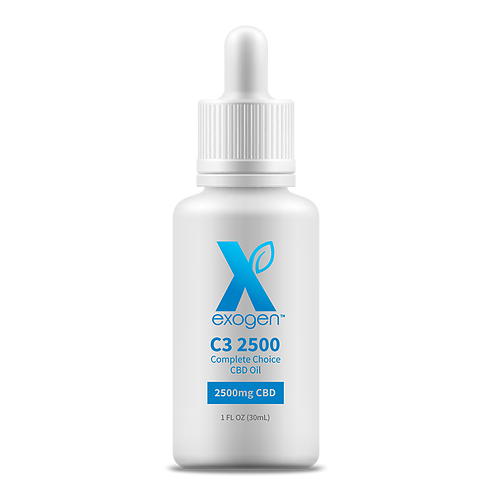 C3 1250 is a great daily use product to help reduce stress, anxiety and inflamation. Each bottle contains 1250mg of Complete Choice CBD blended with hemp seed and MCT oil. C3 2500 is a formulated for more challenging ailments. Each bottle contains 2500mg of Complete Choice CBD blended with hemp seed and MCT oil. You can also purchase products at the spa during your next appointment.